A new Direct on March 8 will focus on new Nintendo Switch and 3DS games. Nintendo will be streaming a new Nintendo Direct tomorrow, March 8, 2018. The company revealed the direct is planned to last roughly 30 minutes and focus on new titles for the Nintendo Switch and 3DS that will launch this year, including new details for the recently announced Mario Tennis Aces. Mario Tennis Aces was announced back in January, revealing that the game will feature the first full story mode since the series appeared on the Game Boy Advanced. The update will like reveal some of the online features and included characters, maybe even showing off some crossovers with other Nintendo properties. There's no telling what the other updates will be focused on, but it's exciting to see that the 3DS is getting some major new content this year. 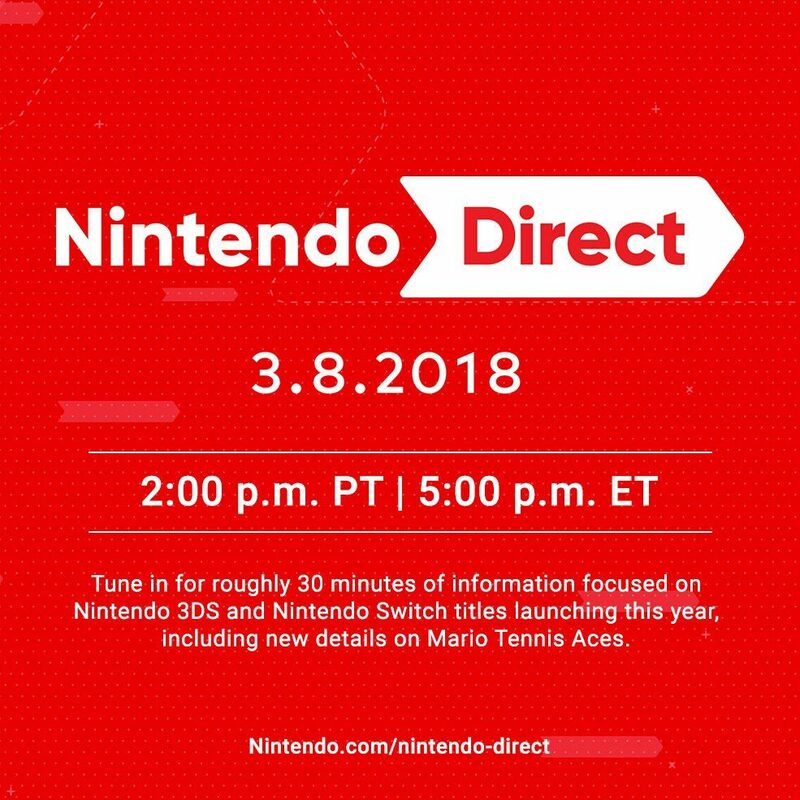 The Nintendo Direct for March 8, 2018, goes live at 2 pm PT / 5 pm ET and will be streamed on YouTube. We'll have the embed here at Shacknews for you before it starts. What's the best tennis game? Virtua tennis? Super Tennis SNES, Virtua Tennis Dreamcast, and an Xbox one I forget the name of.